Moving write along! 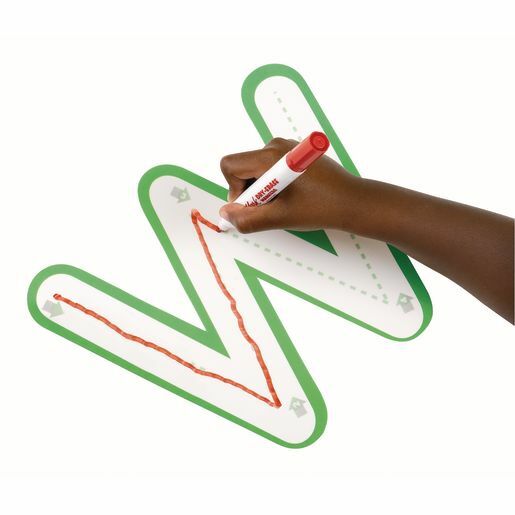 Giant letters in bright colors help reinforce letter recognition, while the dry erase surfaces provide elementary handwriting practice. Children simply follow the numbered arrows to trace the inner dashed lines of each letter. Wipe clean and start again. L.K.1a. Print many upper- and lowercase letters. RF.K.1d. 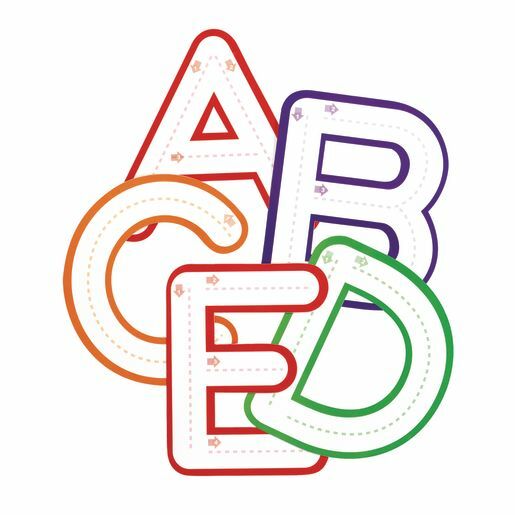 Recognize and name all upper- and lowercase letters of the alphabet. RF.K.1c Understand that words are separated by spaces in print. RF.1.4b Read grade-level text orally with accuracy, appropriate rate, and expression on successive readings. RF.K.1b Recognize that spoken words are represented in written language by specific sequences of letters. RF.1.1a Recognize the distinguishing features of a sentence (e.g., first word, capitalization, ending punctuation).